Thus far, Sony has been an industry leader for 4K home theater projection. 4K projectors have a native resolution of 4096 x 2160, or four times the resolution of 1080p. Sony is the one of the only manufacturers building native 4K projectors for home theater right now, having brought three to market already, and they show no signs of slowing down. Their latest projector, the VPL-VW350ES, is another native 4K machine. Like the VW600ES before it, the VW350ES includes a 2.06:1 lens with powered zoom, focus, and lens shift, "Reality Creation" detail enhancement, MotionFlow frame interpolation, full HD 3D compatibility, a panel alignment system, low input lag, and a three-year warranty. The VW350ES is also the first 4K projector to break the $10,000 price barrier, coming in at an MSRP of $9,999. An introductory sale lowers the retail price to $7,999 until the end of February, making the VW350ES an outstanding value. All of the native 4K home theater projectors we've seen thus far have been Sony models, and we've yet to see a bad one. We've definitely seen some lackluster 4K content, but the projectors themselves have all been stellar. The VW350ES is no exception. There's a lot more 1080p content available these days than there is 4K content, so anyone who buys a 4K projector will likely spend a lot of time watching content that isn't native 4K. For this reason, we spent most of our time testing the VW350ES with high-quality 1080p content and even a few standard-def DVDs, just to cover the spectrum of what one might watch on this projector until a decent library of 4K material comes along. If we had to sum up picture quality in one word, it would be "smooth." That smoothness doesn't just describe the projector's physical resolution (although it's certainly true). It also describes the natural and realistic color performance, high simultaneous (in-scene) contrast, and gentle enhancement of fine detail and motion performed by the projector's Reality Creation and MotionFlow systems. There's very little digital noise, and the picture seems to pop off the screen without ever losing that film-like quality. The best part of the VW350ES's image is the exquisite sense of detail, present either from 4K source material or (more commonly) upscaled 1080p Blu-ray content. Despite the use of Reality Creation, that detail never looks forced or artificial in any way, and the picture looks almost as good if you turn the whole RC system off. The VW350ES's primary benefit, in our estimation, is that it makes existing DVD and Blu-ray movies look better than they ever have before. That is true regardless of the availability (or lack thereof) of 4K content. In our Sony VW600ES review, we found that high-quality 4K movies do indeed have more detail than their 1080p counterparts. However, as with Blu-ray movies, the picture quality of a 4K movie has much more to do with the quality of the transfer than it does with the extra resolution of 4K. Some early Blu-ray movies didn't look much better than DVD. Some actually looked worse. So one should not think that 4K content will automatically result in perfect image quality, or that 4K content is required before you can enjoy a 4K projector. A side by side comparison with Epson's LS10000 would be interesting. What are the general thoughts regarding the pros/cons after reviewing both? Andy - We will be publishing that comparison later this week. Stay tuned. tom - Yes, though I believe only on HDMI port 2. I'm not 100% sure about that last part, though. Correct me if I'm wrong, but true 4k resolution at 4096 x 2160 rather than UHD 3840x2160 seems like a disappointing feature for those planning to upscale native 720p and 1080p content. Both of those resolutions are evenly divisible by 3840x2160, meaning upscaling will look amazing with no subpixel resampling. What advantage, if any, is there to releasing projectors in true 4k resolution when they vast majority of content displayed on them will still be 720/1080p for many years to come? I thought the MSRP in Europe was 8,000 US $. So Any Idea of future street price drops? Can you give a number for the contrast? Thanks, very exciting. "Correct me if I'm wrong, but true 4k resolution at 4096 x 2160 rather than UHD 3840x2160 seems like a disappointing feature for those planning to upscale native 720p and 1080p content. Both of those resolutions are evenly divisible by 3840x2160, meaning upscaling will look amazing with no subpixel resampling. What advantage, if any, is there to releasing projectors in true 4k resolution when they vast majority of content displayed on them will still be 720/1080p for many years to come?" The "blanking" feature (which windowboxes by blacking out the additional horizontal pixels to utilize only the inner 3840 area) should enable you to only use the even-multiple 3840 horizontal resolution when upscaling 1080p sources... basically making this a standard UHD projector merely with additional unused horizontal pixels on the machine's panels. is this projector can be used in a planetarium dome? Will the VPL-VW350ES connect up to the new Ultra HD Blu-ray format and other known sources of 4K content? What happens with the difference between the 2 "4K" variations? 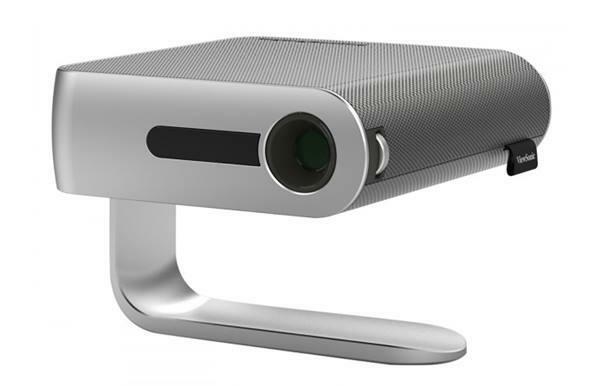 For example, does this projector rescale to fit the panels, use only a portion of the panels, or give the user a choice? 4:2:0 chroma subsampling means it would be very bad for text. Granted most people simply want to watch video, and the limitation is apparently only at 60hz, but this means the projector would not be a good choice for hybrid applications. My 350es is combined with a samsung k8500 4k bluray. The sony would not display 4k UHD Netflix content from HDMI1 but it would for HDMI2. Guessing it is a bad connector but it looks great for sure! I have the same problem going through an Anthem AVM60 receiver. No video, only sound. Anyone able to get 4K content to play without going direct from the device to the projector?